Verena Von Pfetten is a contributing editor at Fast Company magazine and co-founder of Gossamer, a biannual lifestyle publication. She’s a digital native with over a decade’s worth of experience in brand consulting, editorial direction, and content strategy, and has worked with clients such as Instagram, Glossier, Spring, ASOS, Ann Taylor LOFT Lou & Grey, 7 For All Mankind, Man Repeller, and The Coveteur. She contributes regularly to fashion, food, and travel publications, such as The New York Times, Vogue, Condé Nast Traveler, InStyle, New York Magazine, and Modern Farmer. 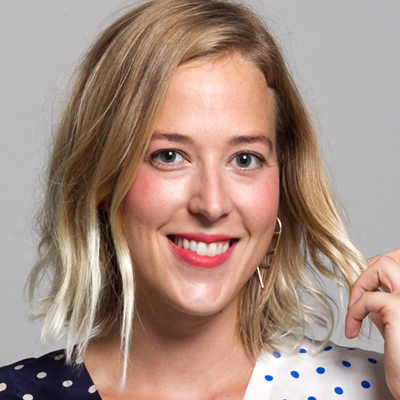 Prior to co-founding Gossamer, Verena was the executive digital director at Lucky magazine, where she developed and executed the brand’s award-winning digital editorial and product strategy across all platforms, including video, mobile, social, and live events, doubling and tripling traffic year over year, and culminating in Condé Nast’s first wholly integrated content-to-commerce platform, LuckyShops.com. Prior to her time at Lucky, Verena spent two years as an early editor at the Huffington Post, where she managed over 70 contributors and helped build out the site’s lifestyle coverage and female audience in advance of its acquisition by AOL. She is also the founding editor of Styleite, Abrams Media's acclaimed independent fashion news site, and The Braiser, a James Beard Award-nominated site focused on the chefs and personalities of the food industry. How do you engage increasingly digital customers in meaningful ways? Top retail leaders share the secret to creating rich customer relationships that leverage in-store and online experiences in new ways.